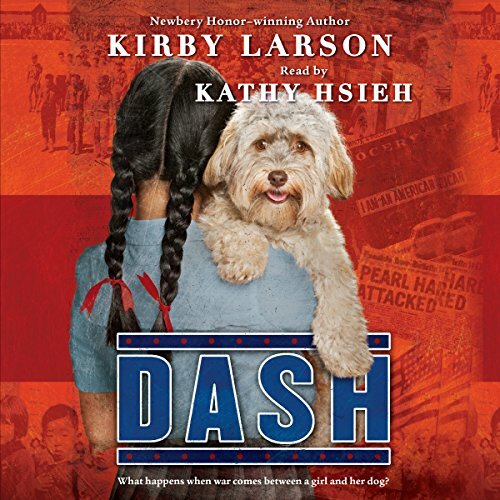 Showing results by narrator "Kathy Hsieh"
New from Newbery Honor author Kirby Larson, the moving story of a Japanese American girl who is separated from her dog upon being sent to an incarceration camp during WWII. Although Mitsi Kashino and her family are swept up in the wave of anti-Japanese sentiment following the attack on Pearl Harbor, Mitsi never expects to lose her home - or her beloved dog, Dash. But, as World War II rages and people of Japanese descent are forced into incarceration camps, Mitsi is separated from Dash, her classmates, and life as she knows it. This was a good book I Read it for obob.